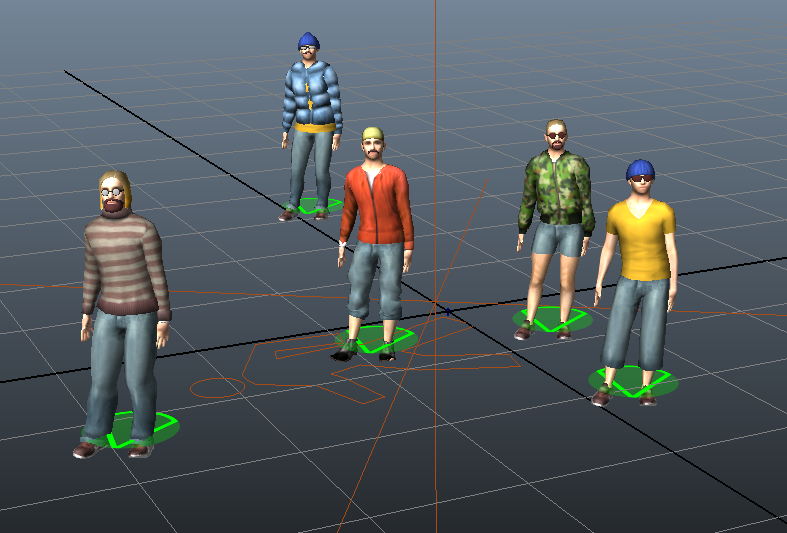 Static Characters can be handled very easily. 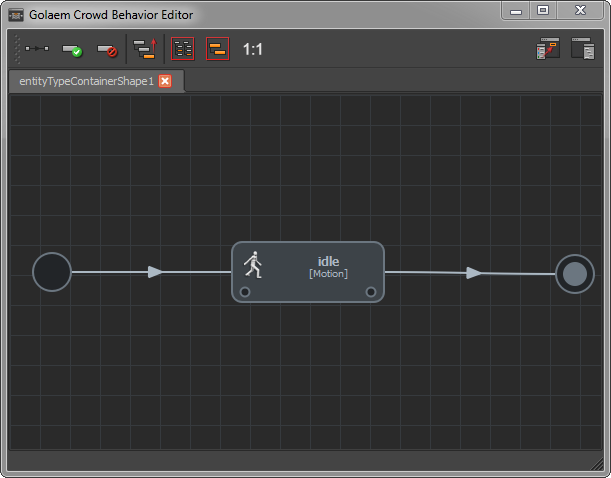 After setting up an EntityType (see Quick Start) and placing particles, open the Behavior Editor and the previously created EntityType. 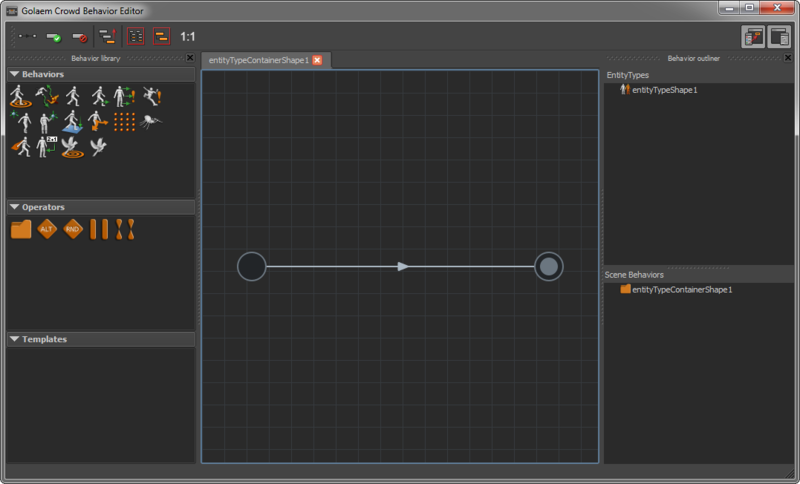 Then just drag-and-drop a built-in Behavior, as a Motion Behavior, to play an idle animation for example.